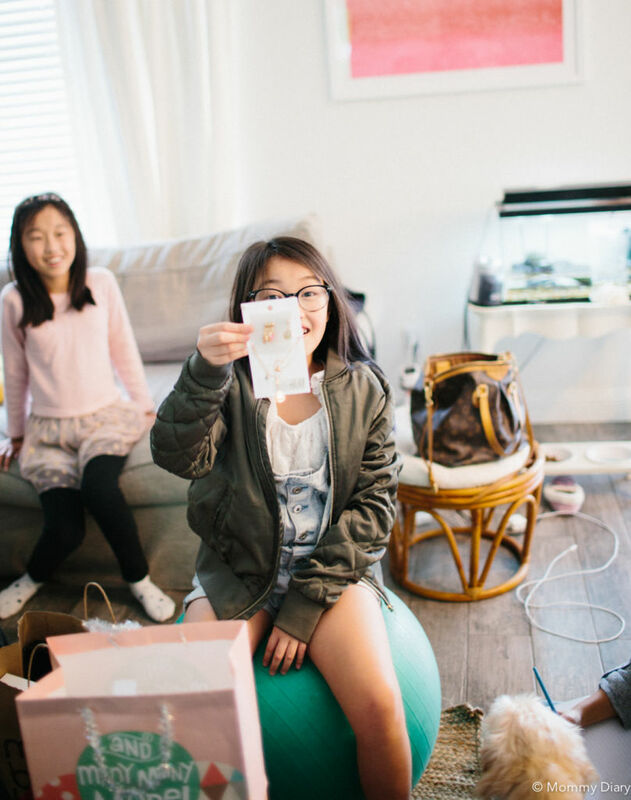 Last year I threw my second daughter T a big “Hollywood Kids” themed party for her 9th birthday. We had a game truck, photo booth and everything. 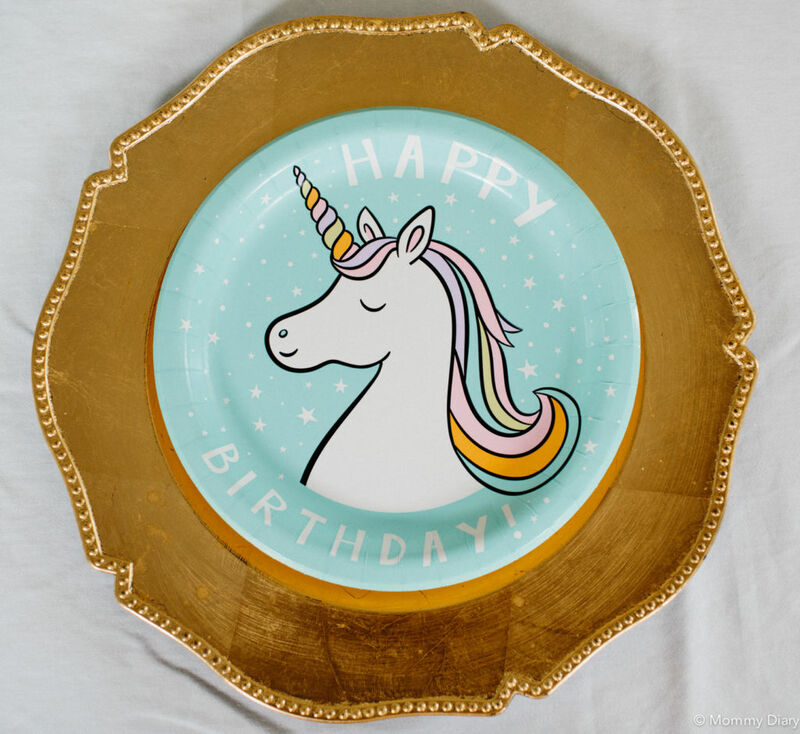 I was still in first trimester of my third pregnancy and sick as a dog but I knew once the baby is born, I won’t be able to host a big birthday party for her for awhile. As expected, I found myself a lot busier and overwhelmed this time around. Having three kids requires a lot more work, dedication and time and there was no way I could plan another huge gathering. So instead, we opted for a small, intimate gathering of T’s closest girlfriends, many of whom she was friends with since birth. 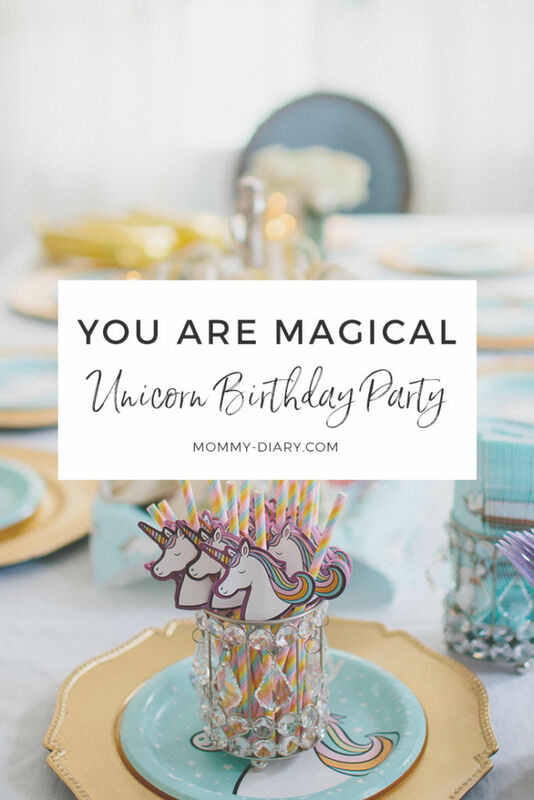 All week I was feeling tired, unmotivated, uncreative and scatter brained (postpartum + new baby problems), so I literally waited until the last minute to begin planning her party. 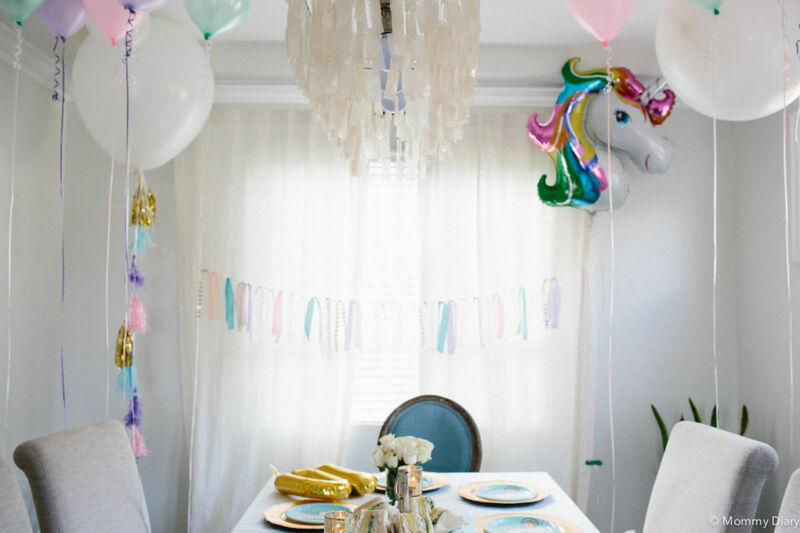 In fact, we didn’t even come up with the “unicorn theme” until the night before her party. 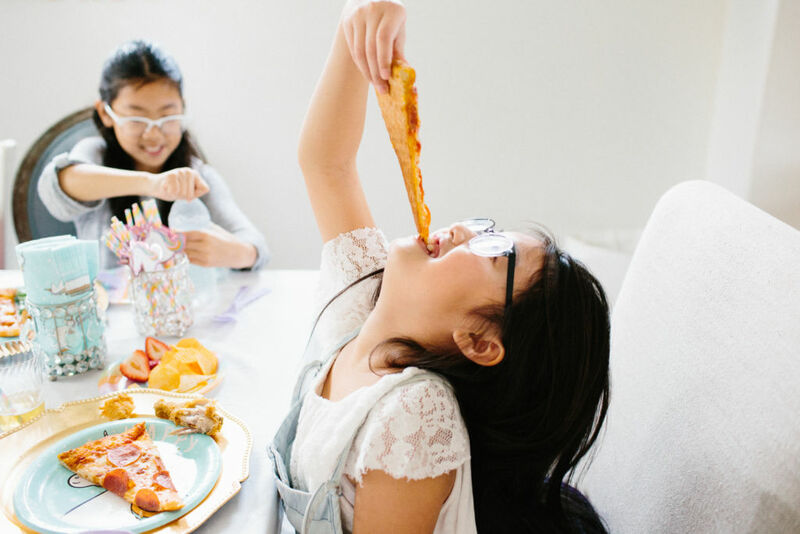 One thing I’m learning as a new mom of three is that YOU CAN’T HAVE IT ALL and WE CAN’T DO IT ALL. So instead of panicking like I normally would, I decided to let go, think simple and just go with the flow. 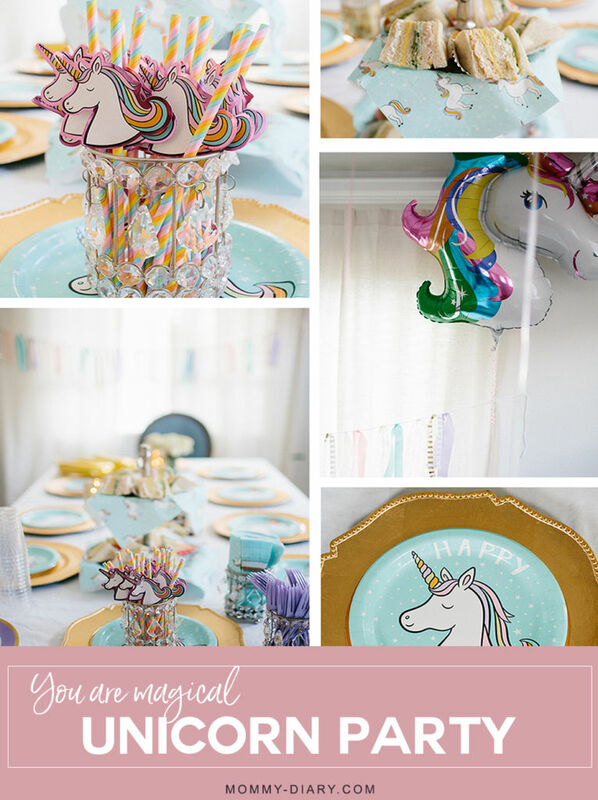 I did run around Target and Party City with my party planner head spinning like crazy for a few hours but I pulled off a simple and intimate Unicorn Theme party for my fun, creative and sunshiny daughter. 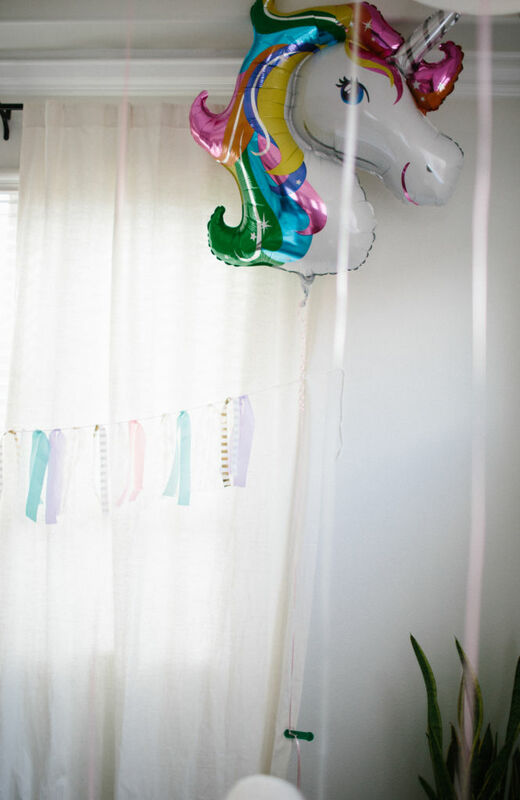 With little bit of creativity, lots of Target and the art of letting go (one of my New Year goals again), we rang in the New Year by celebrating my second daughter’s special day with some of her dearest girlfriends. 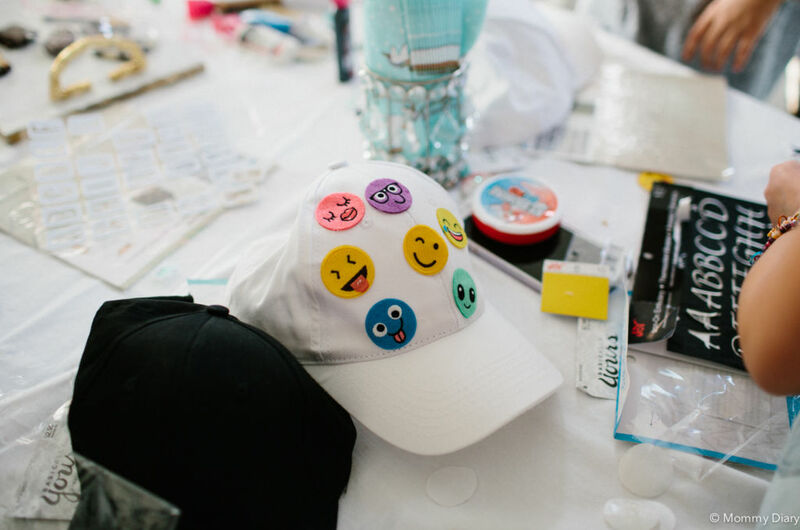 For the activity, the birthday girl wanted to make personalized hats with stenciled letters and patches. 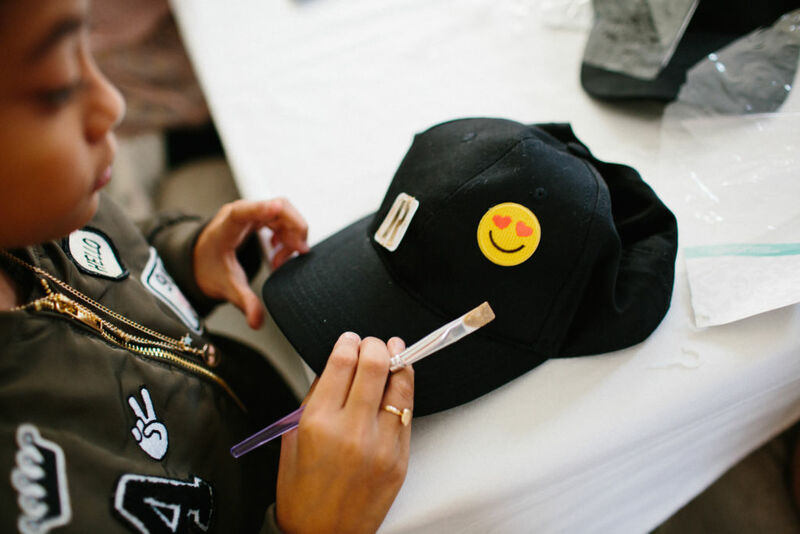 We purchased different colored blank hats along with some iron on patches, letters, fabric paint and fabric glue. 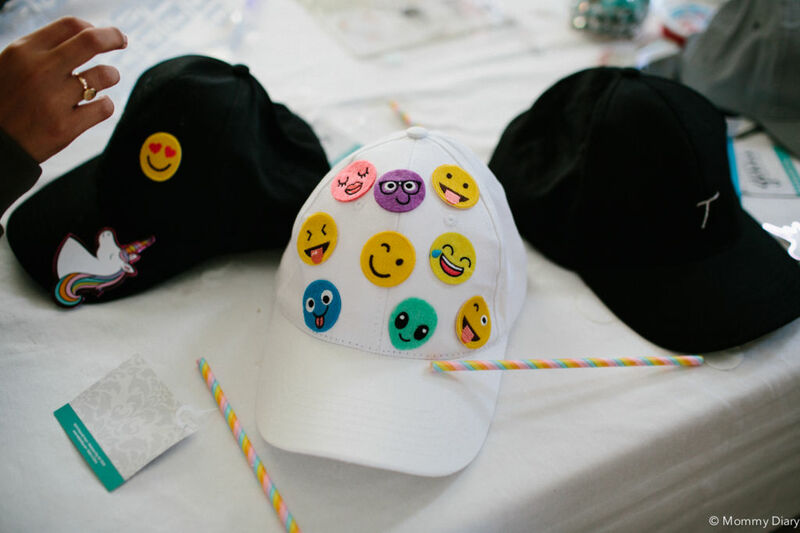 With supervision and some help from adults, the girls did an awesome job decorating their own hats. 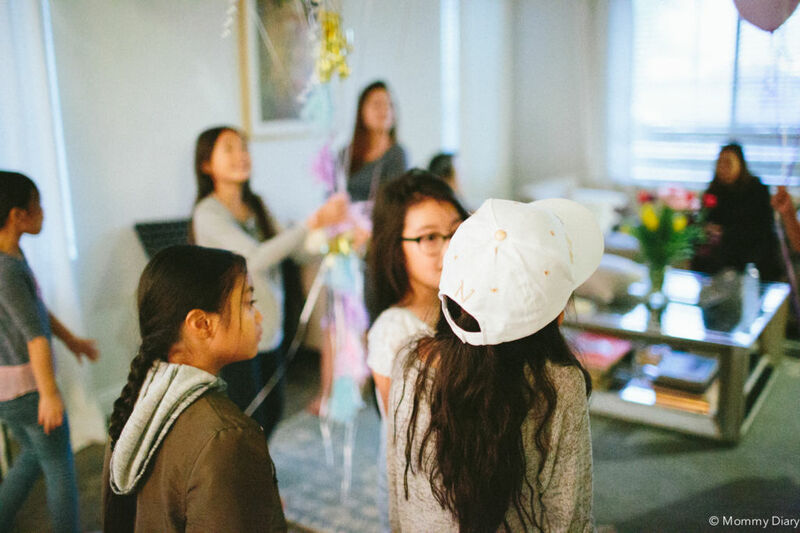 The rest of the party was free play, and the girls were able to just hang out and enjoy each other’s company. I’ve known most of the girls since they were born, as I’ve been friends with their mothers for well over twenty years. It’s truly amazing to watch my best friends’ daughters form their own circle of friendship and sisterhood and I feel so blessed to be surrounded by such beautiful women. 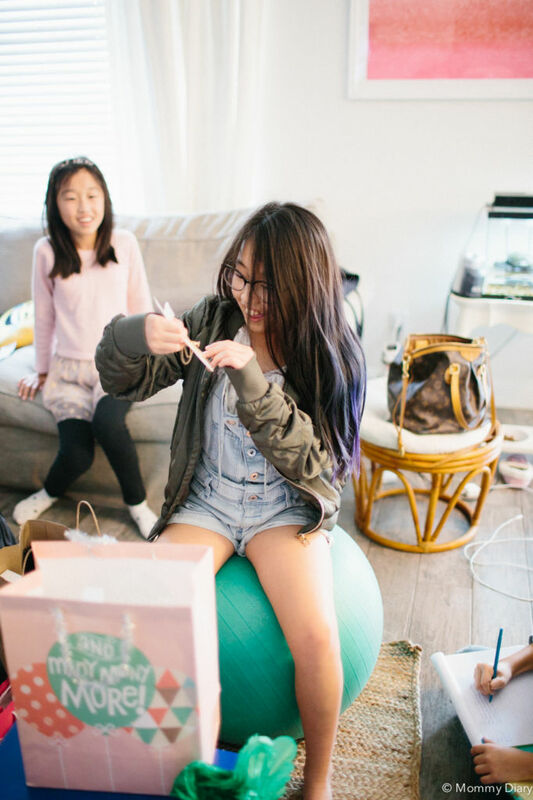 It was a lovely day of laughter, silliness, good food and memories and I loved watching my daughter’s face light up every time she opens a new gift or gets silly with her girlfriends. 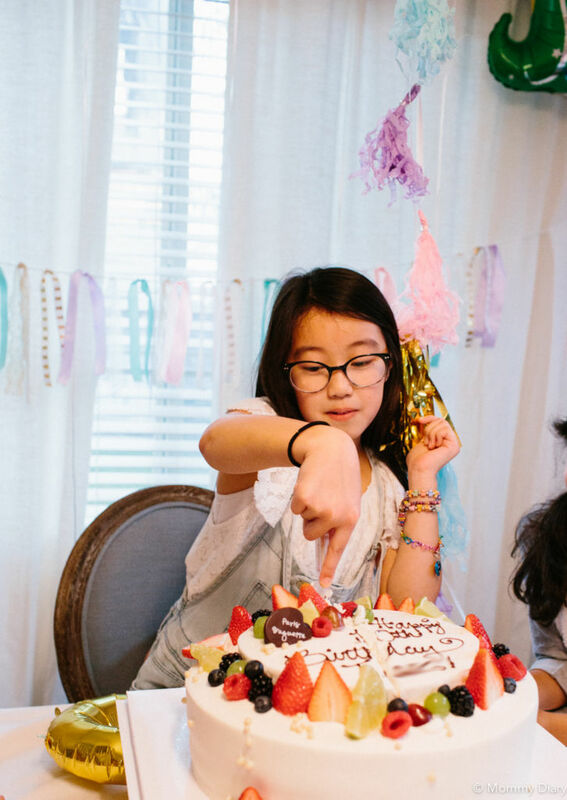 It was a low key, intimate and a very special birthday that celebrated two generations of magical friendships that are still blossoming and strengthening every year. 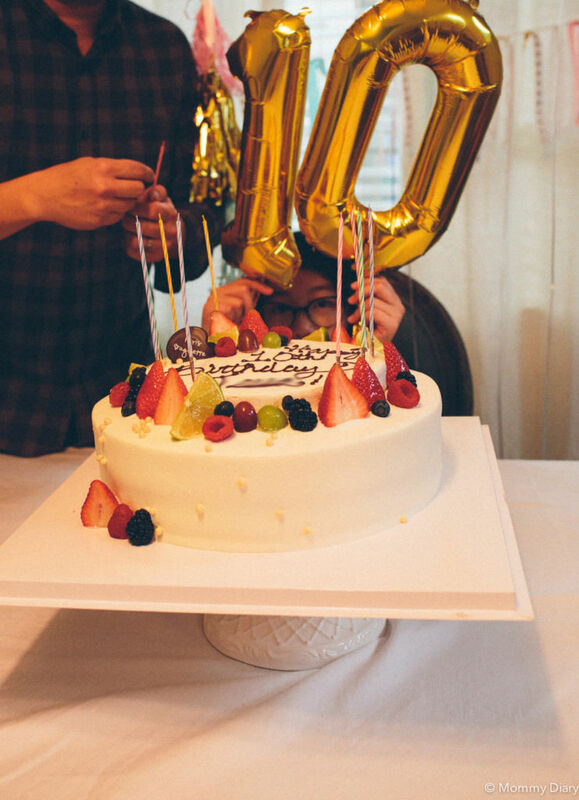 I still can’t believe my baby girl is turning ten years old in just a few days. She is starting to act like a tween but still my little girl in so many ways. 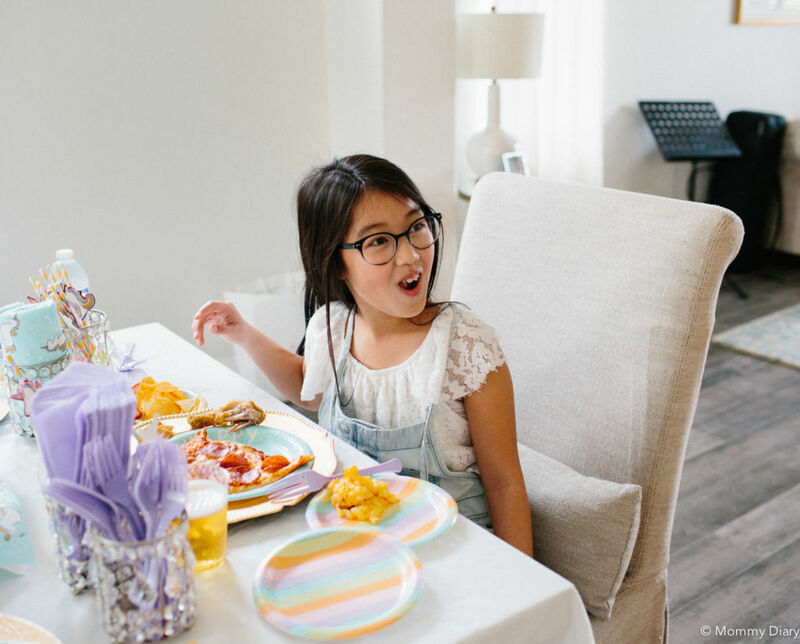 Through her I’m entering a new phase of parenting, one that needs closer attention and more learning but just like every other year, I feel incredibly blessed to be her mother. Two years ago I wrote her a heartfelt birthday letter. You can find it here. 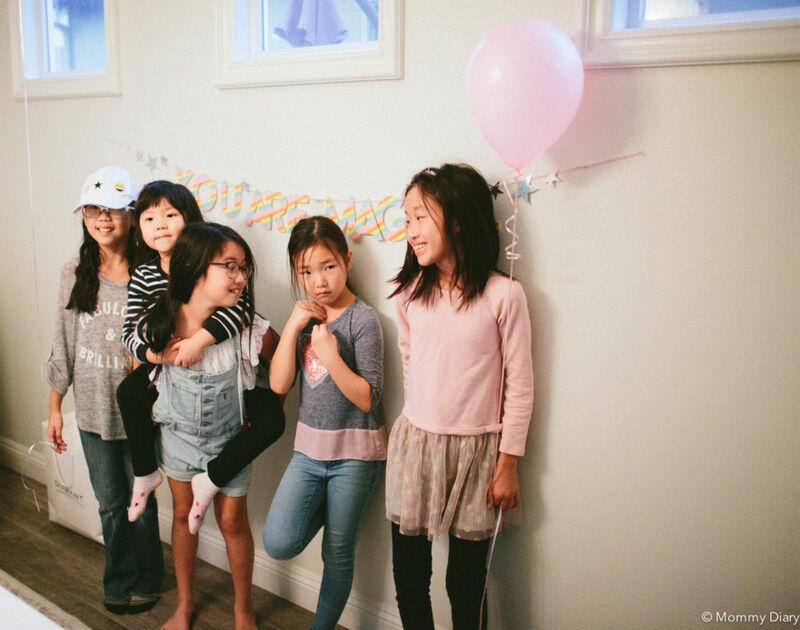 You can also find photos and details from her 8th Birthday Tea Party here and last year’s Hollywood Kids Party here. If you enjoyed this post, please pin the photo below to share with others. Thank you for reading! Love everything!! You did an amazing job, You can tell they had a blast! 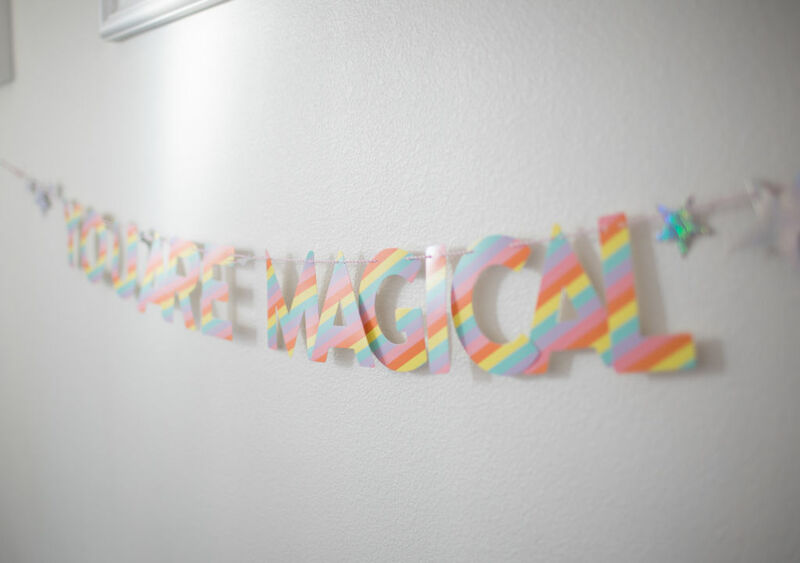 The decorations are so pretty and I love the “you are magical” theme! So fun! 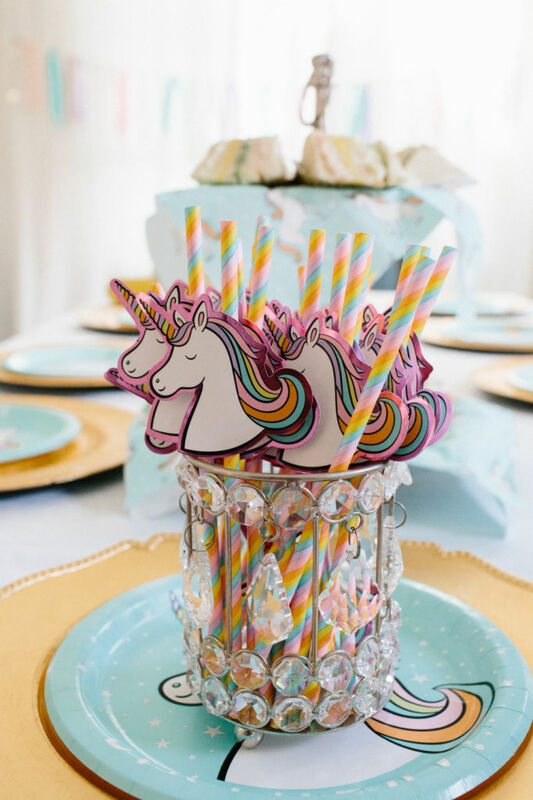 I am planning a unicorn birthday party in March and I can’t wait! 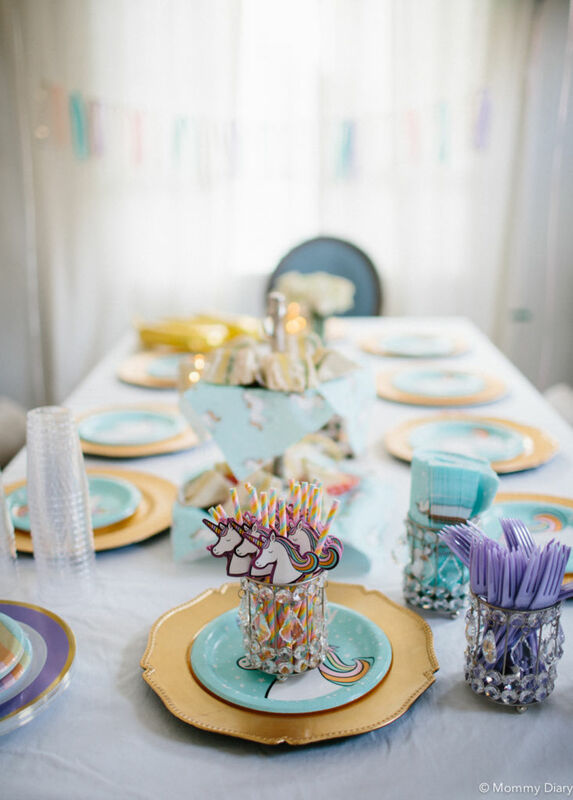 Love all of your decorations! 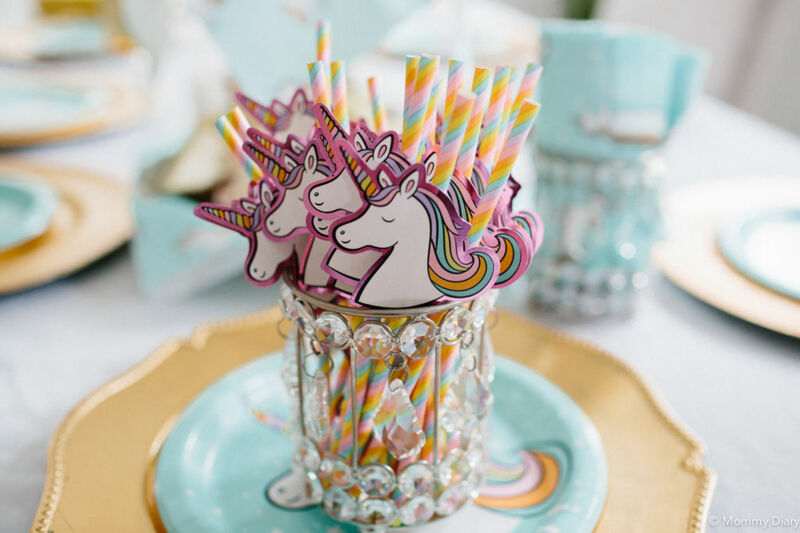 Looks like a wonderful celebration!! This looks like so much fun! 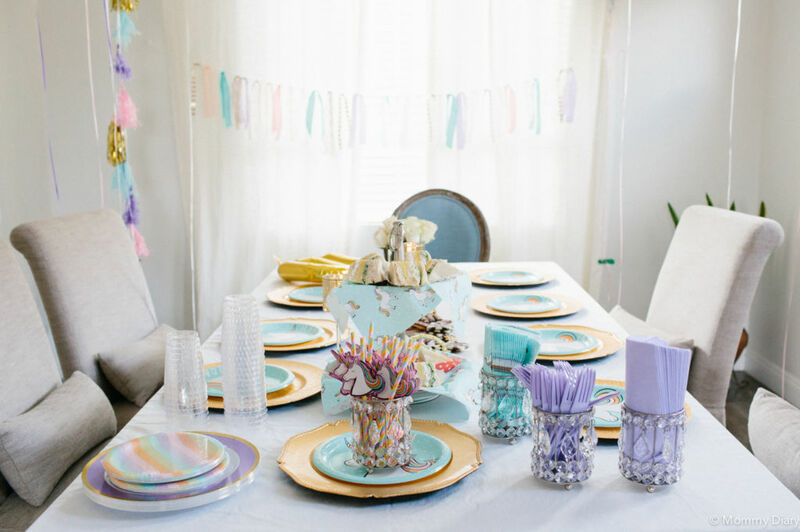 Such a fun and creative party theme! 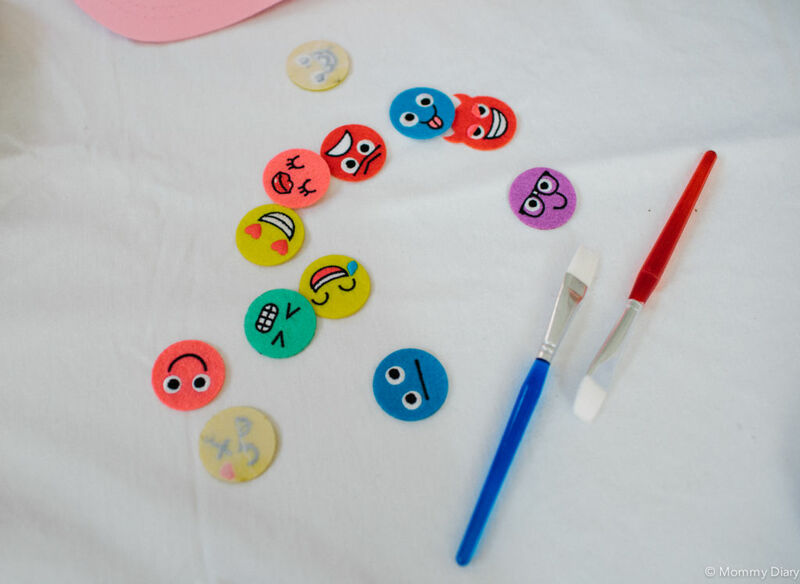 It was the perfect simple idea for creative kids! Wow, you really did a good job. I will keep that idea in my mind!!!
? 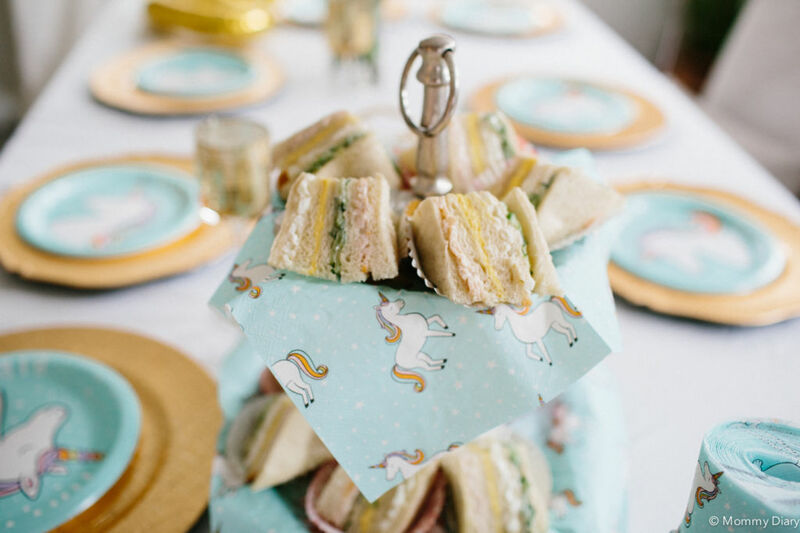 such a cute setup !! 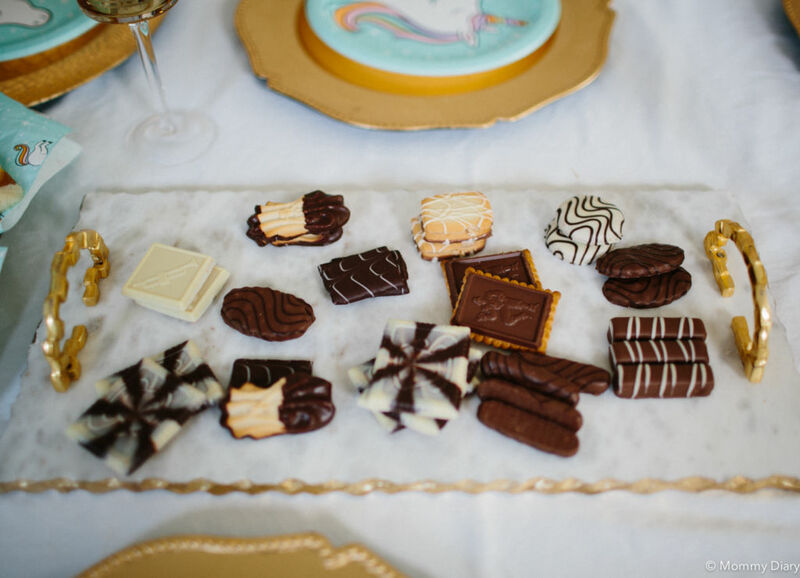 Love it Angela ! Unfortunately no more Target in Canada ? Used to visit Target almost every night back in the states, girls were born in NJ. Moved to Canada 8 years ago and loving it ?